Sony Michel has made the most of his opportunities this season when he’s been able to stay on the field. In his eight games, the rookie running back has racked up 586 yards and five touchdowns. He had his best professional performance yet in Sunday’s 27-13 win over the Jets at the Meadowlands, finishing with 133 yards and a TD on 21 rushing attempts. The 23 year-old former Georgia Bulldog now has as many 100-yard rushing games (3) as every other rookie runner combined during Bill Belichick’s 19-year tenure as the Patriots’ head coach. The last Patriots rookie to rush for 100 yards three times was Robert Edwards in 1998. 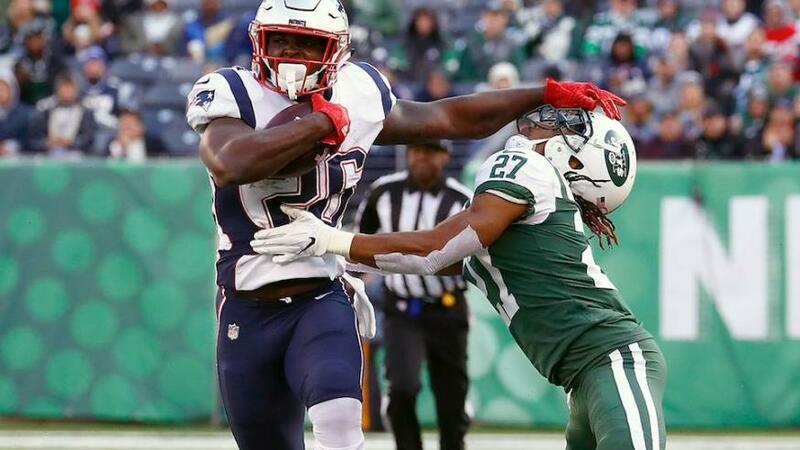 Back in October, Michel became the first Pats’ rookie since Edwards to rush for more than 95 yards in two consecutive games when he put up 98 against the Colts and 106 against the Chiefs. It’s rare for a Belichick-led Patriots team to have a young, explosive, game-changing running back. It’s actually never happened unless you consider Laurence Maroney to be explosive. Maroney’s 175 carries for 745 yards and six touchdowns in 2006 still stand as the most by a Patriots rookie since Bill took over as head coach in 2000. Michel will undoubtedly surpass that mark if he can remain healthy over these next few weeks. Belichick went on to talk about the differences between being a running back in college and in the pros, and how impressive Michel’s transition has been. There were some doubts about his abilities after weeks two and three against the Jaguars and Lions but the kid has answered the call since then.